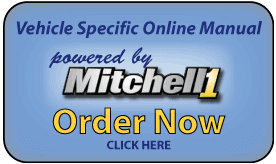 Auto Upkeep is outstanding for basic car care information, but if you need detailed repair procedures specific to your vehicle such as belt routing diagrams, wiring schematics, exploded view graphics, and technical service bulletins then we recommend using an online manual powered by Mitchell1. Mitchell1 manuals have been trusted by professional ASE certified technicians for over 90 years! Mitchell 1 provides online access to auto repair information on over 30,000 vehicles between 1983 to 2016. 2. Pick your Subscription Term. 3. Provide your User and Payment Information.